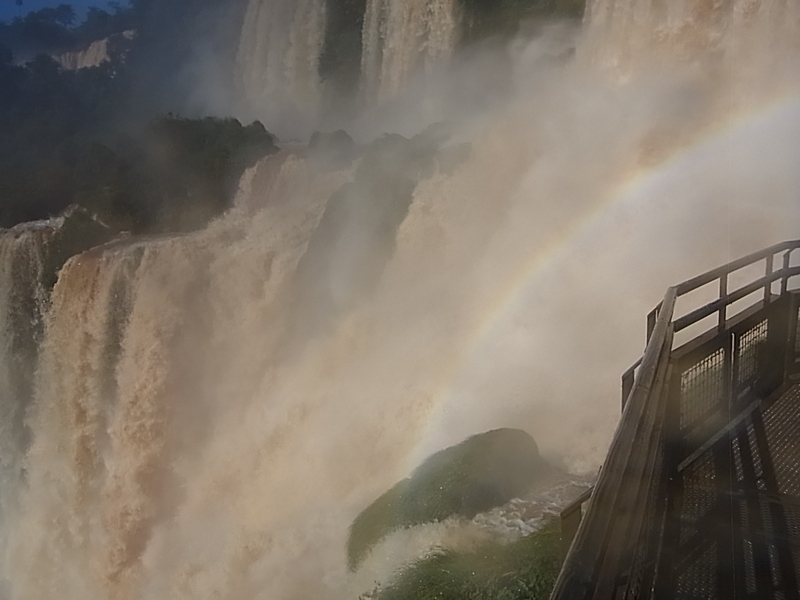 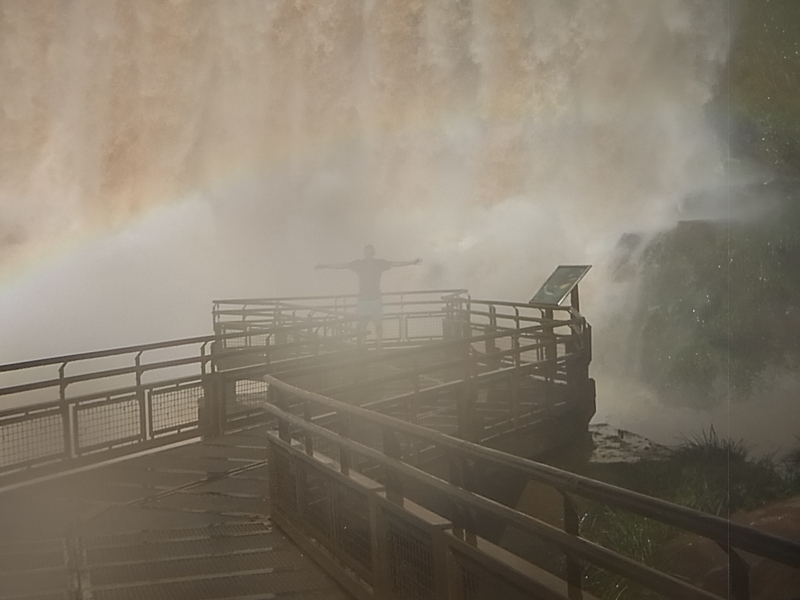 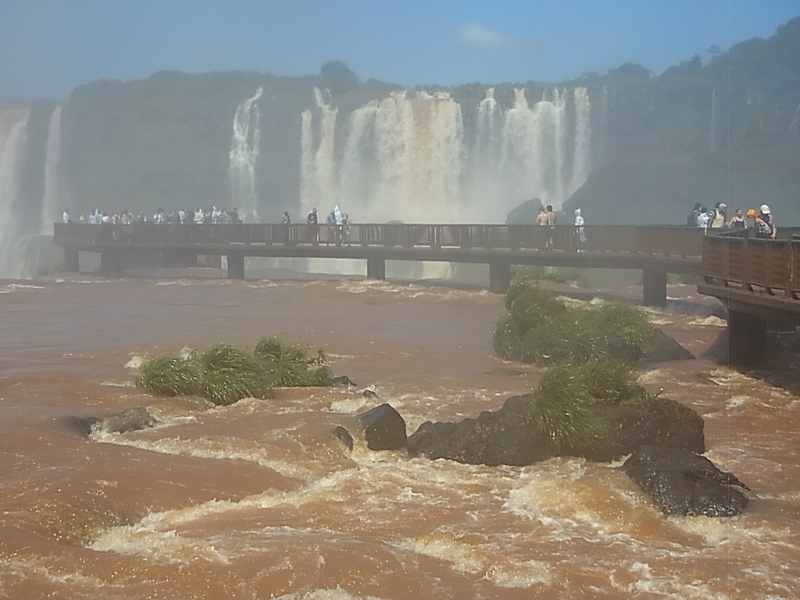 Finally: Las Cataratas de Iguazu!!! 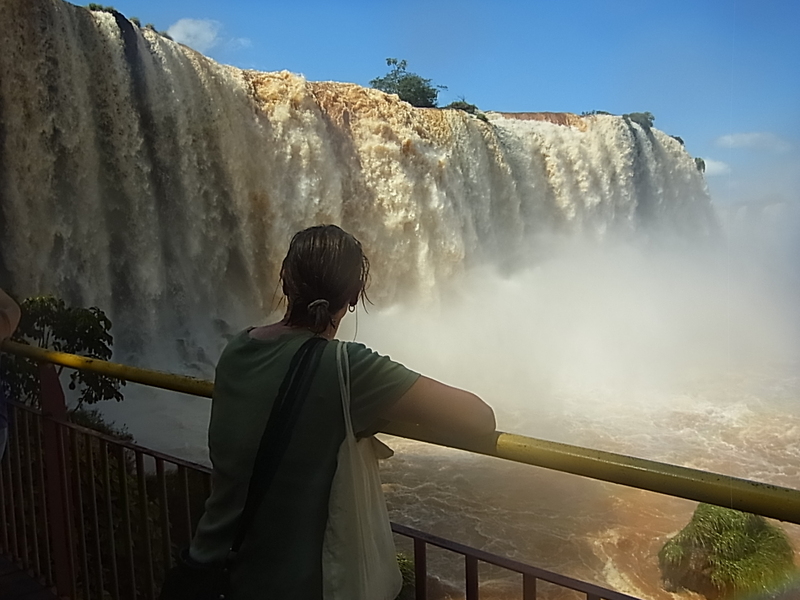 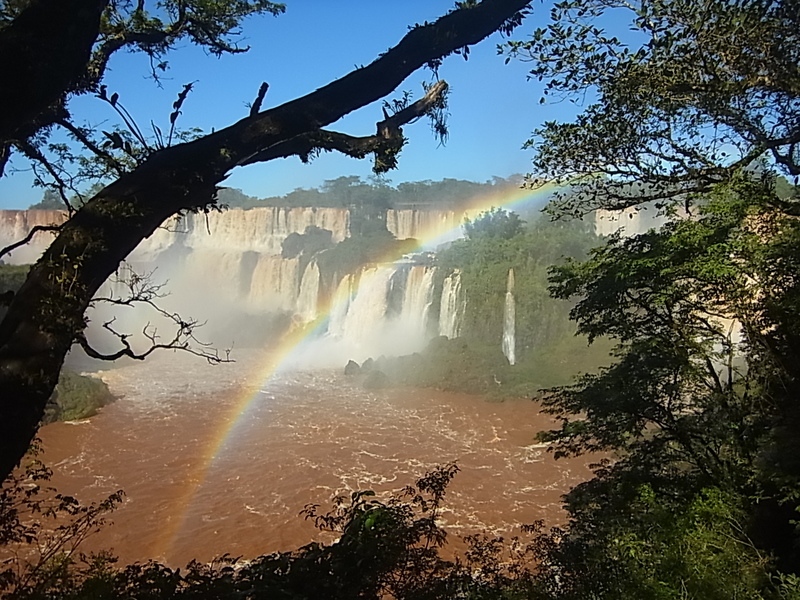 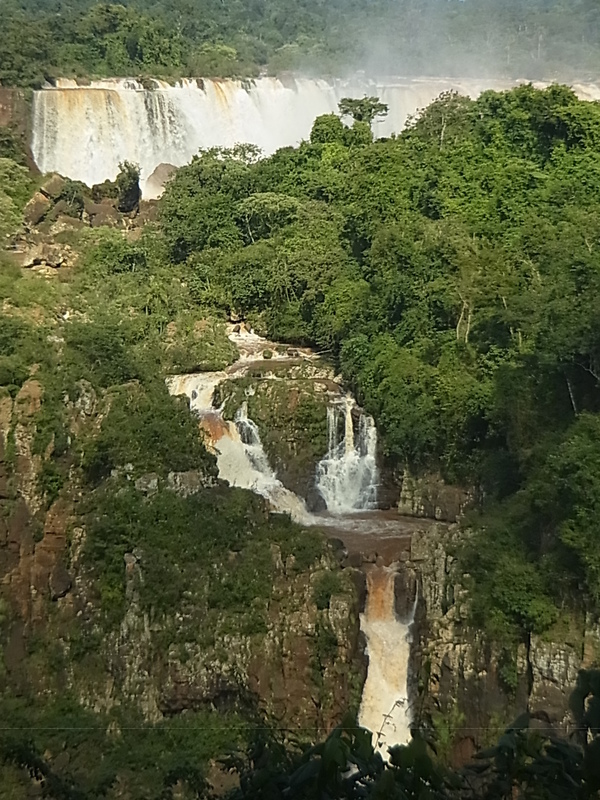 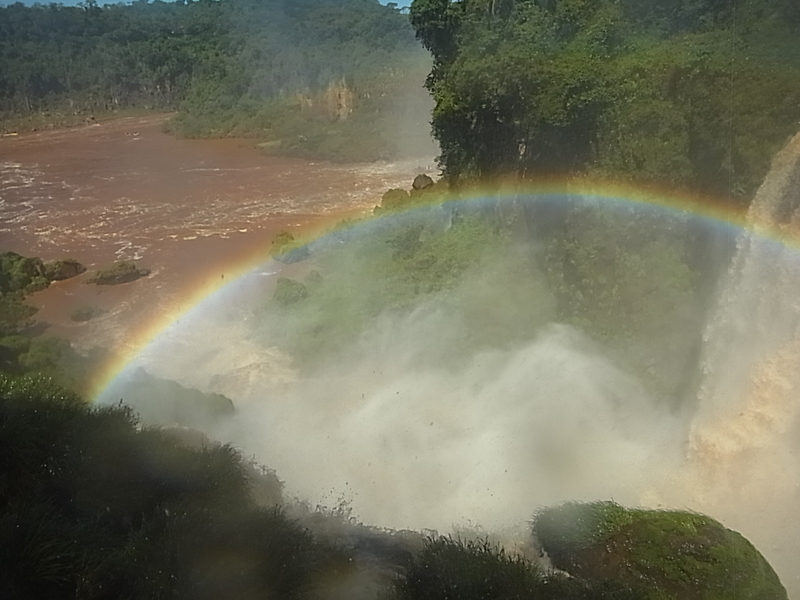 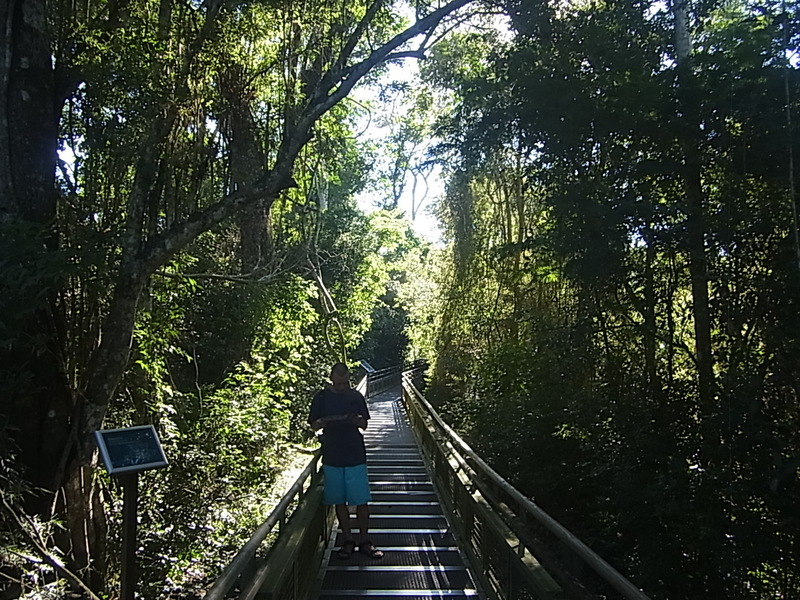 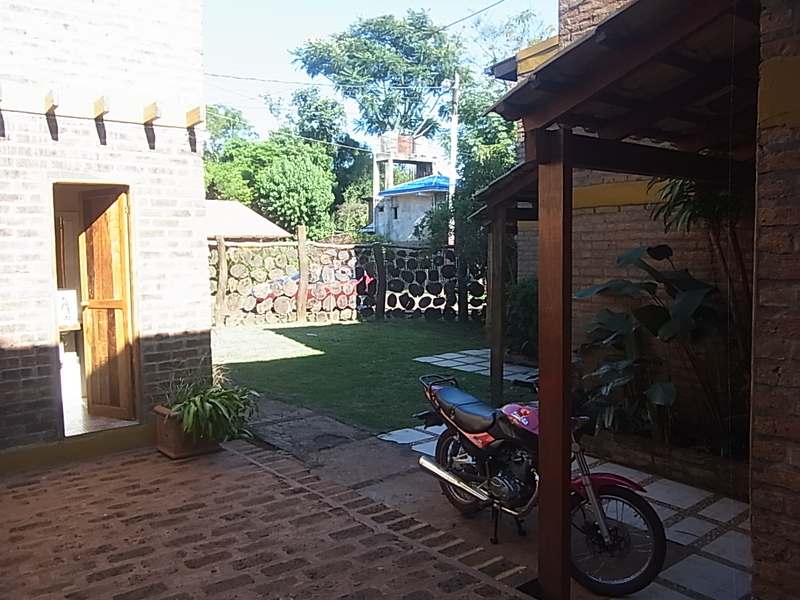 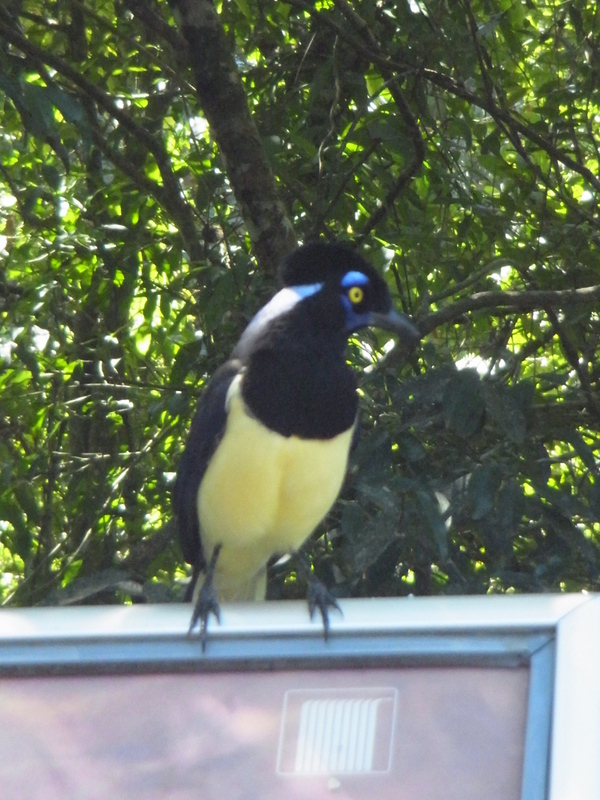 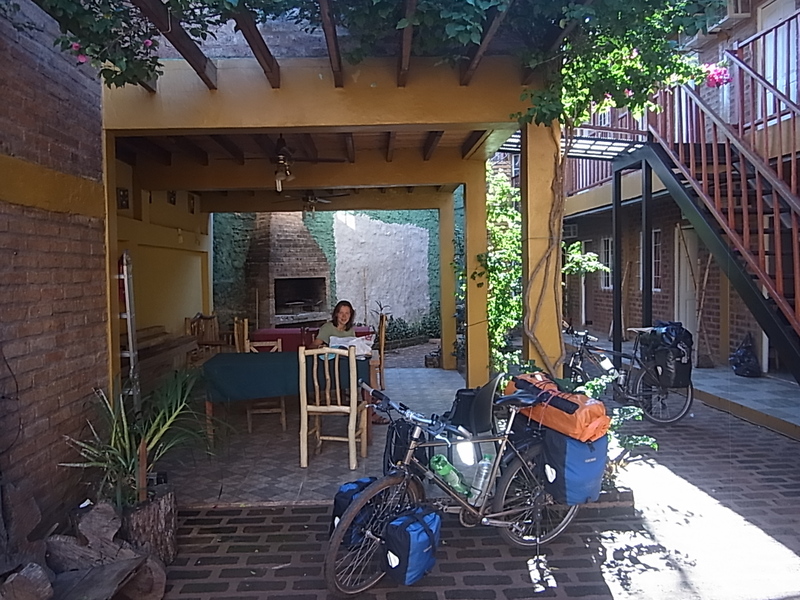 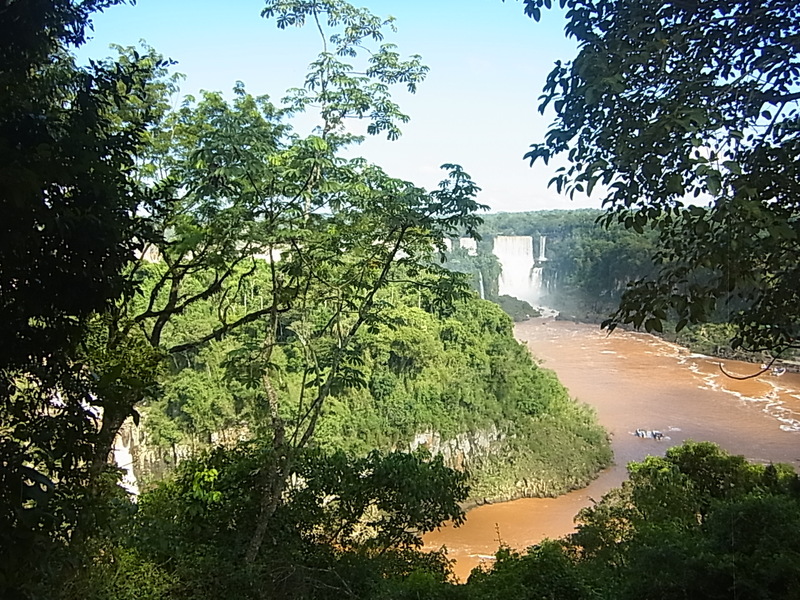 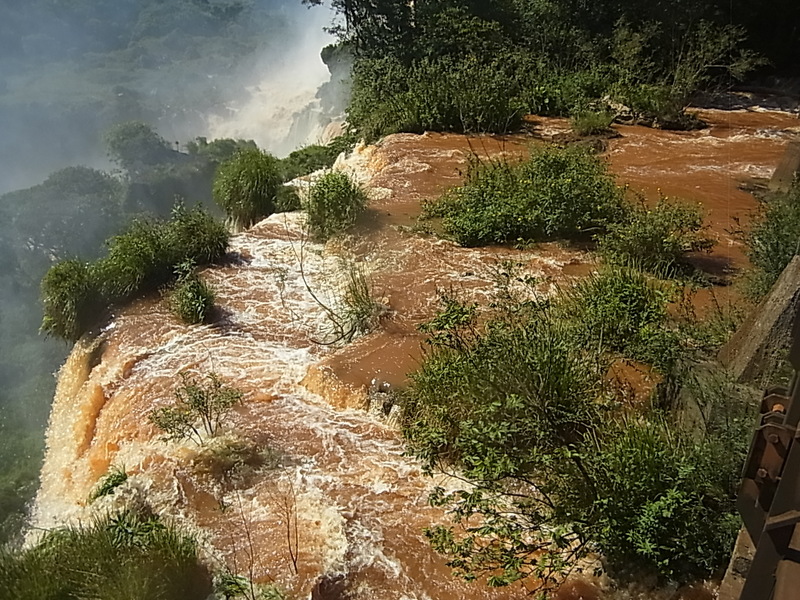 But first we have to look for a place to stay and for the first time we get a useful tip at the tourist information: a nice, familiar and affordable hospedaje in the center of Puerto Iguazu, the city next to the argentinan side of the falls. 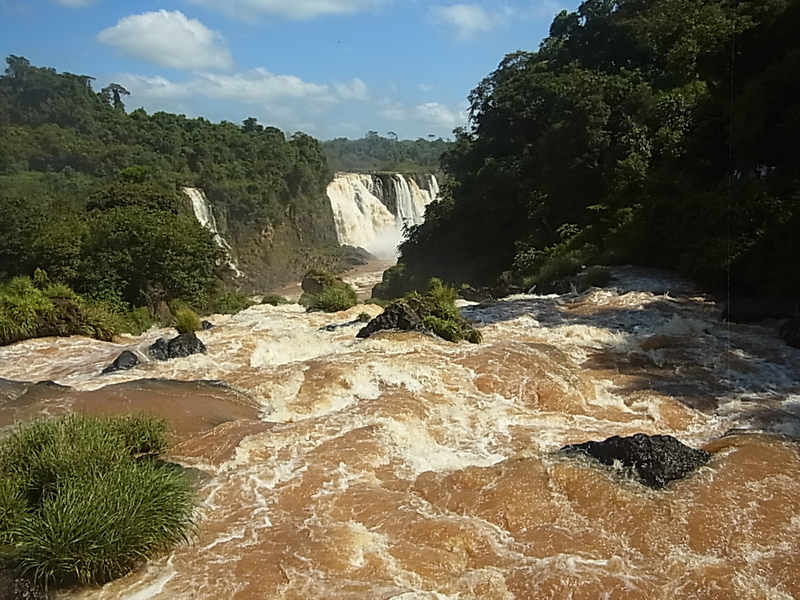 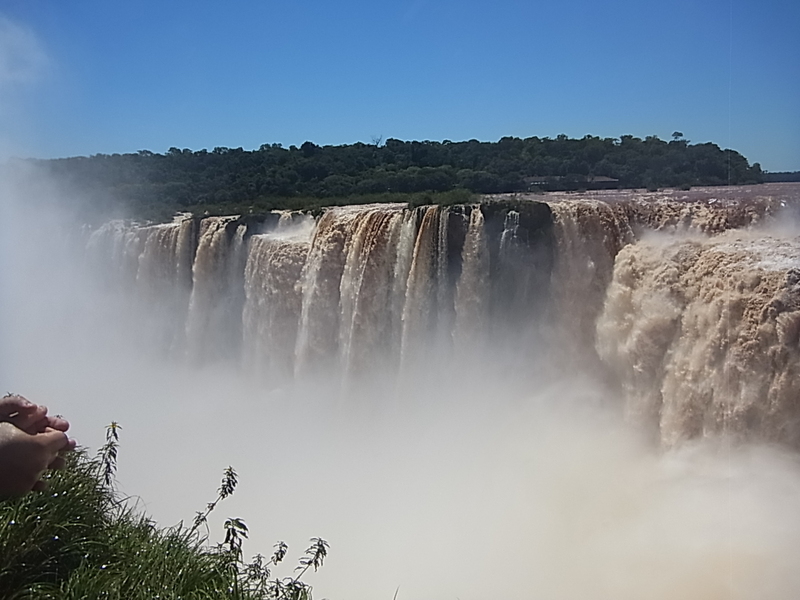 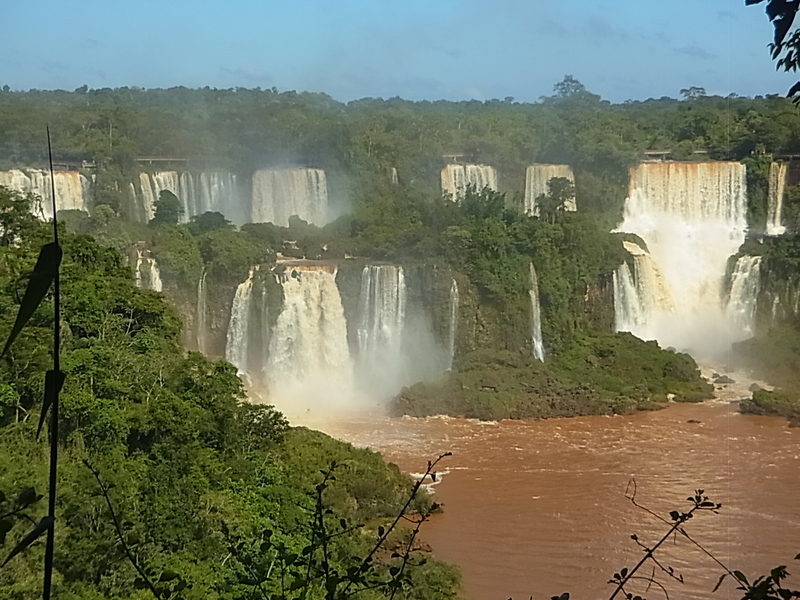 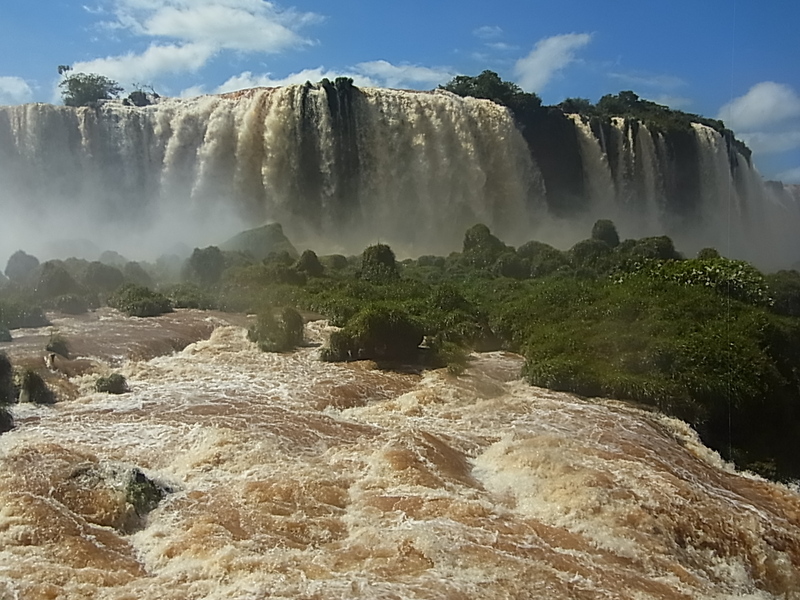 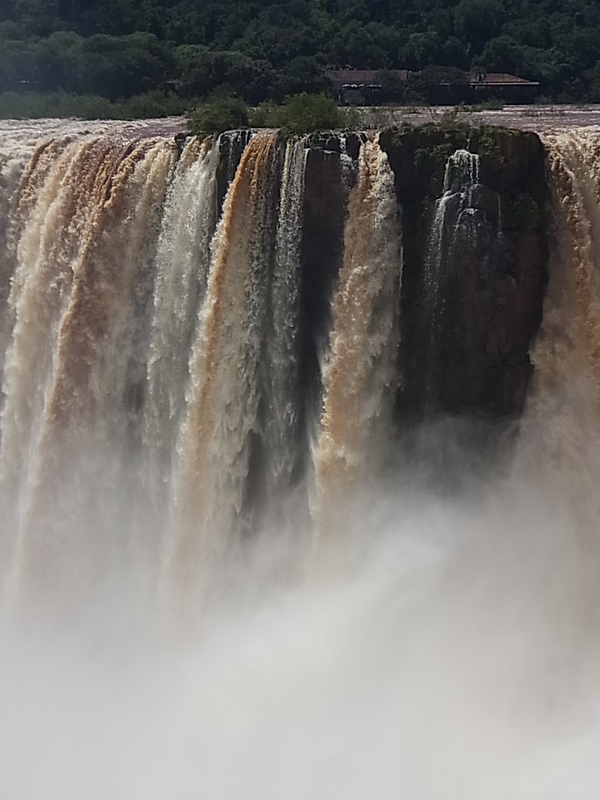 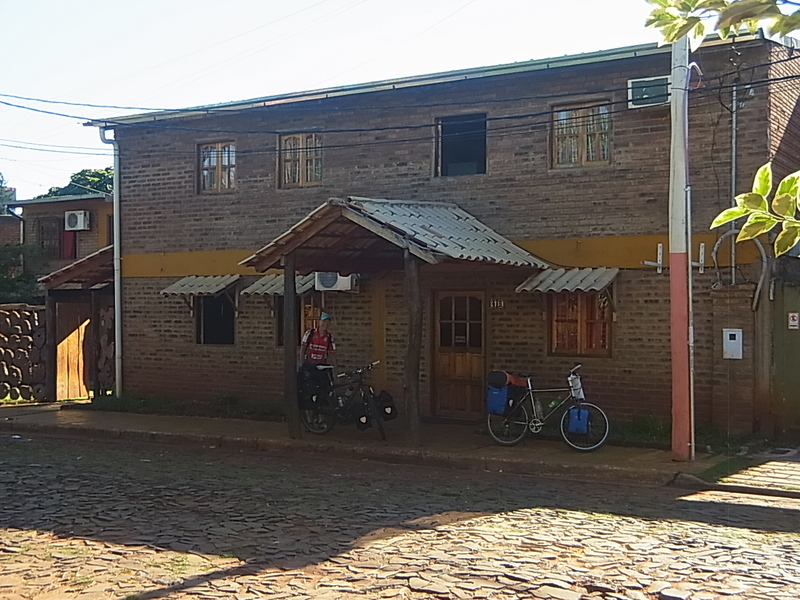 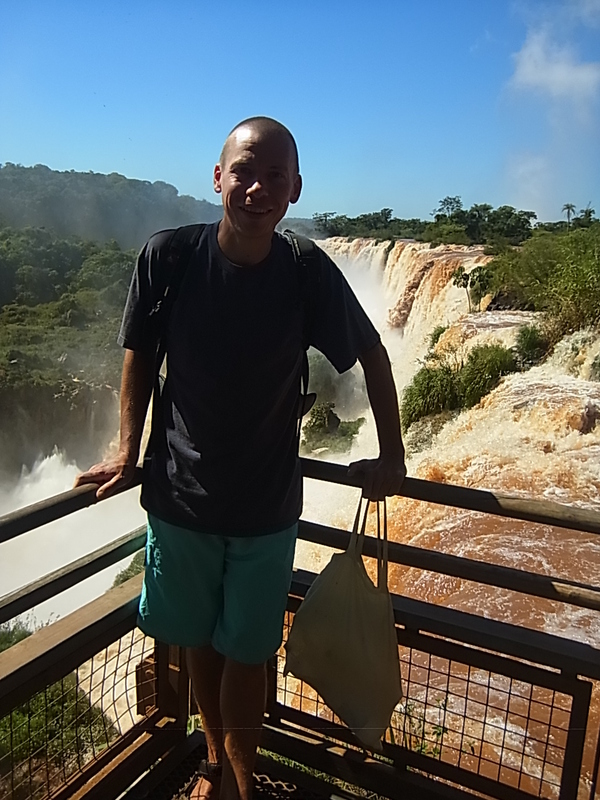 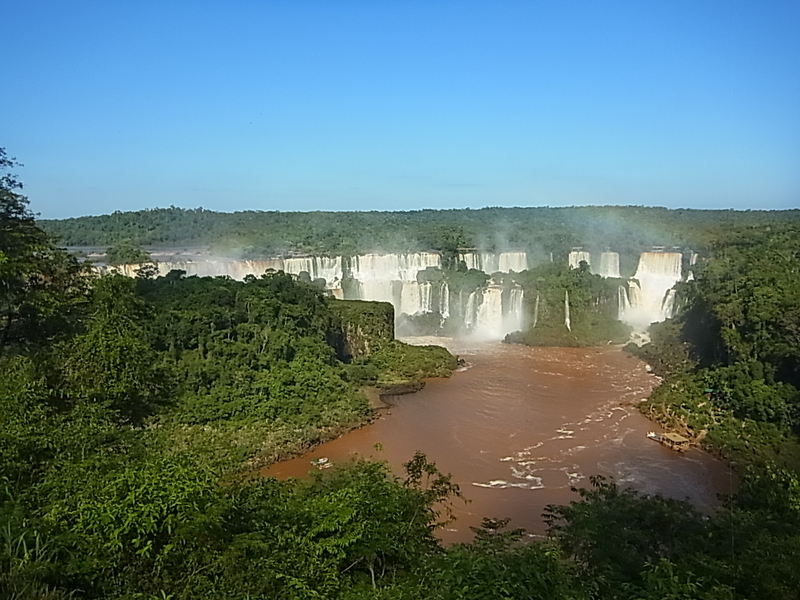 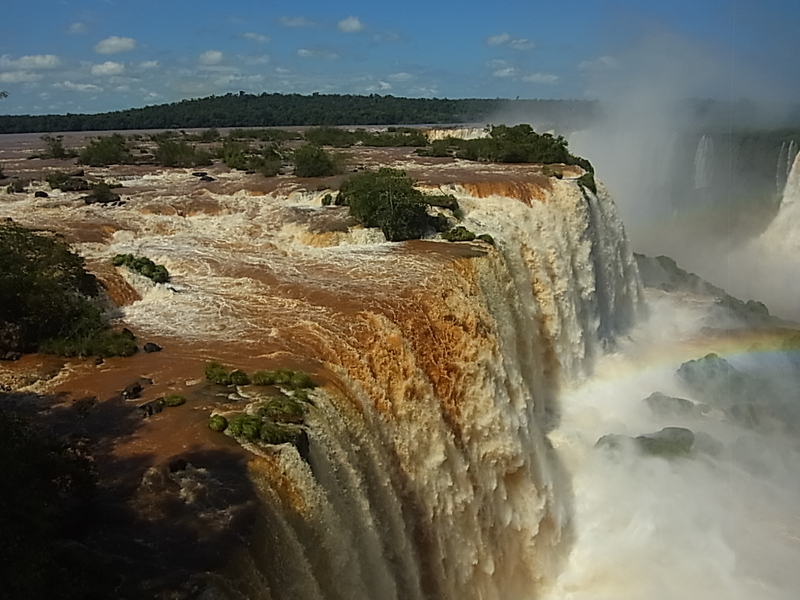 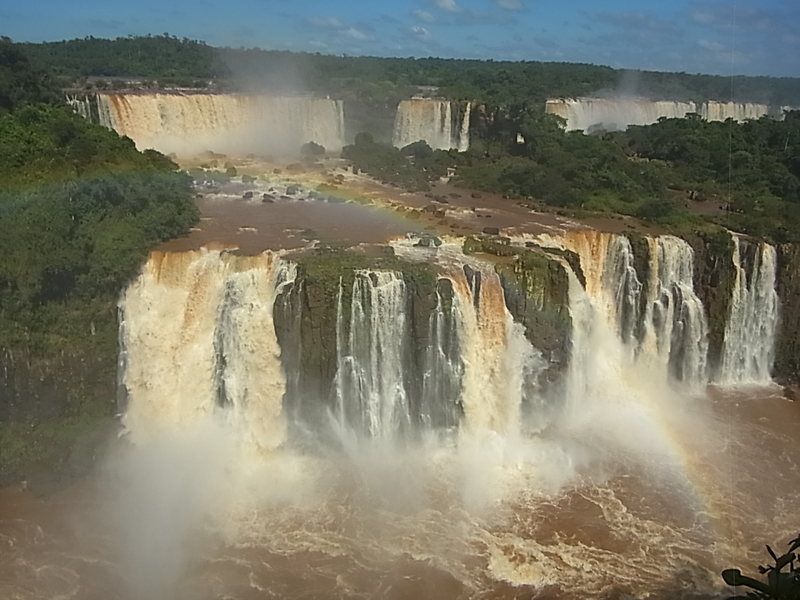 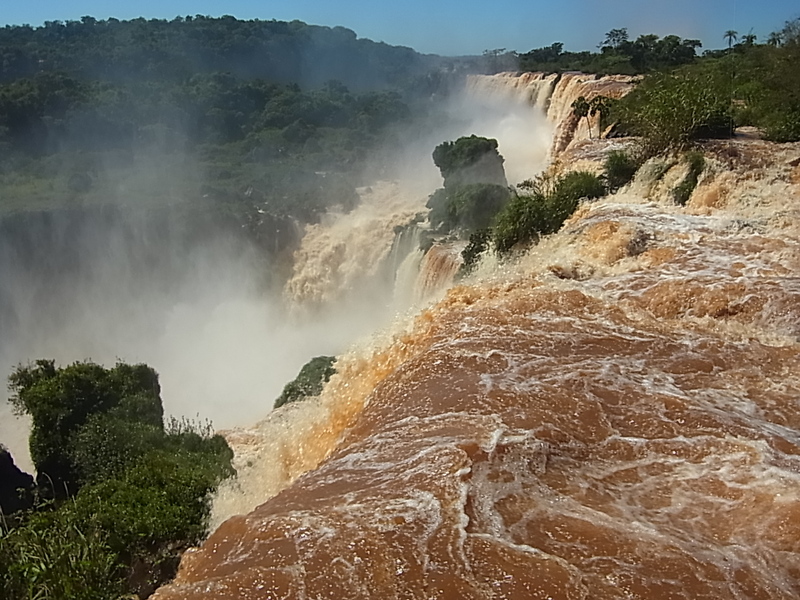 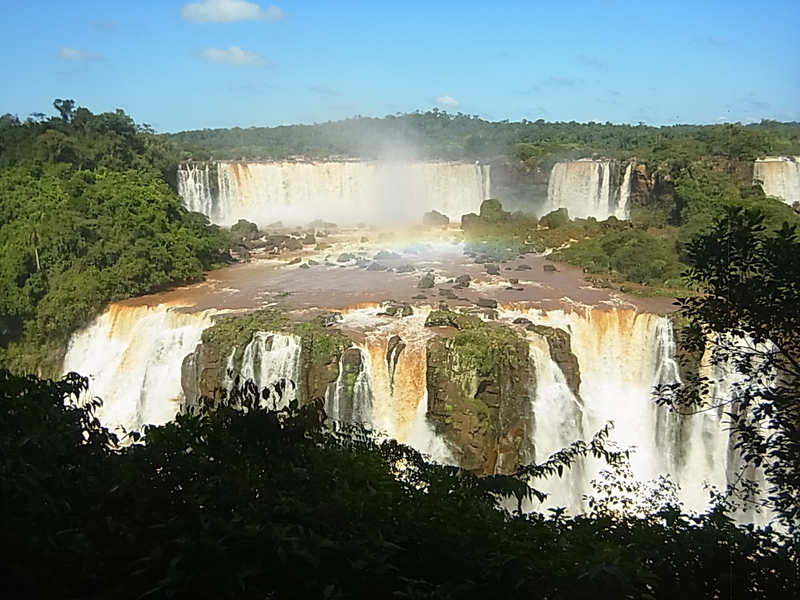 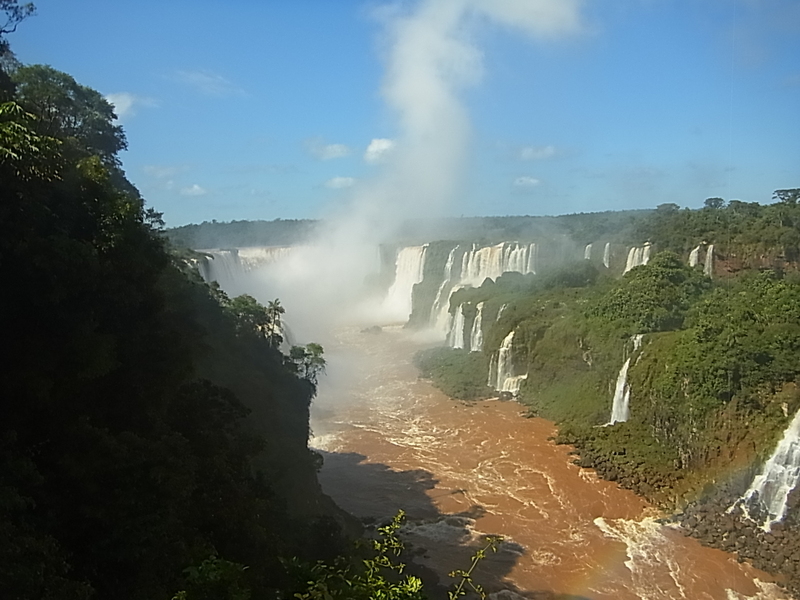 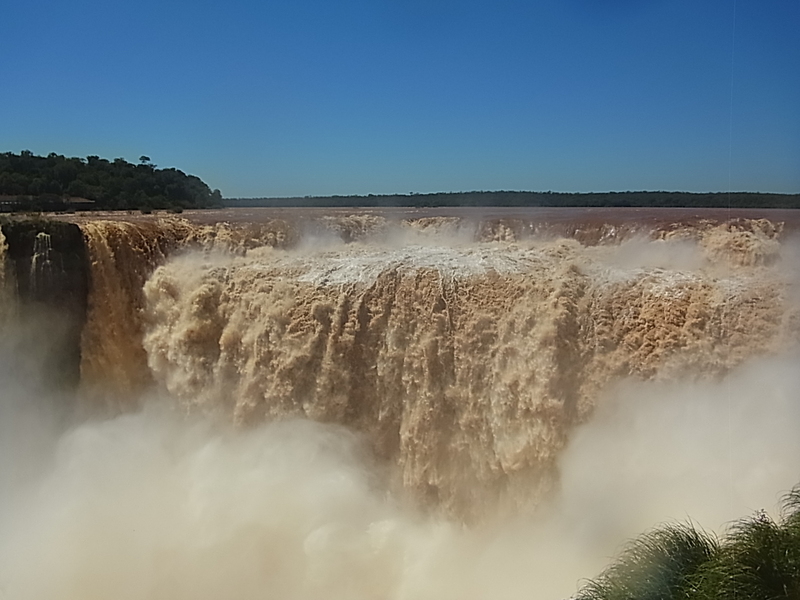 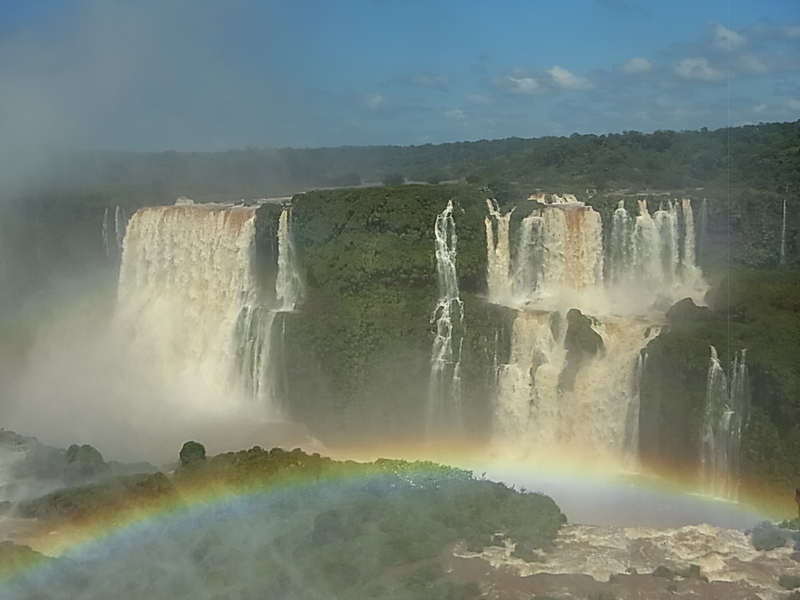 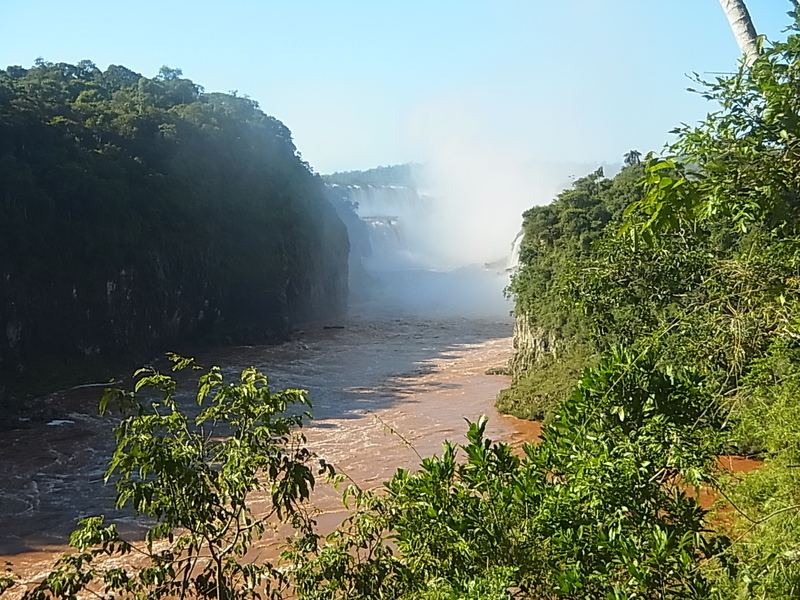 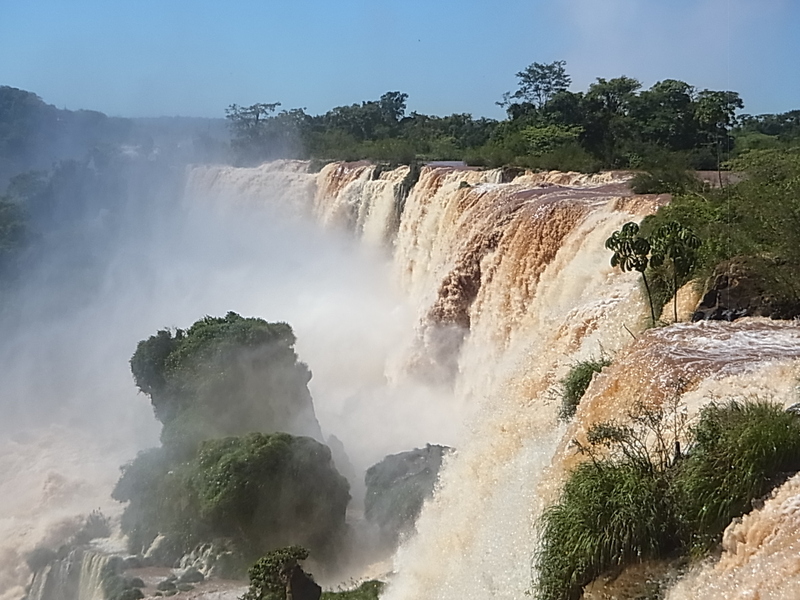 We will stay here for three nights and visit the argentinian and brasilian side of the falls on daytrips by bus. 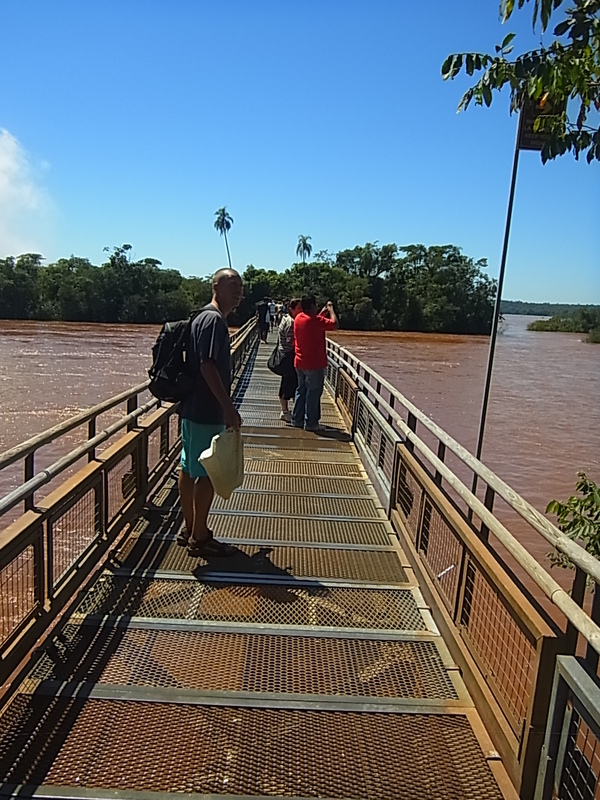 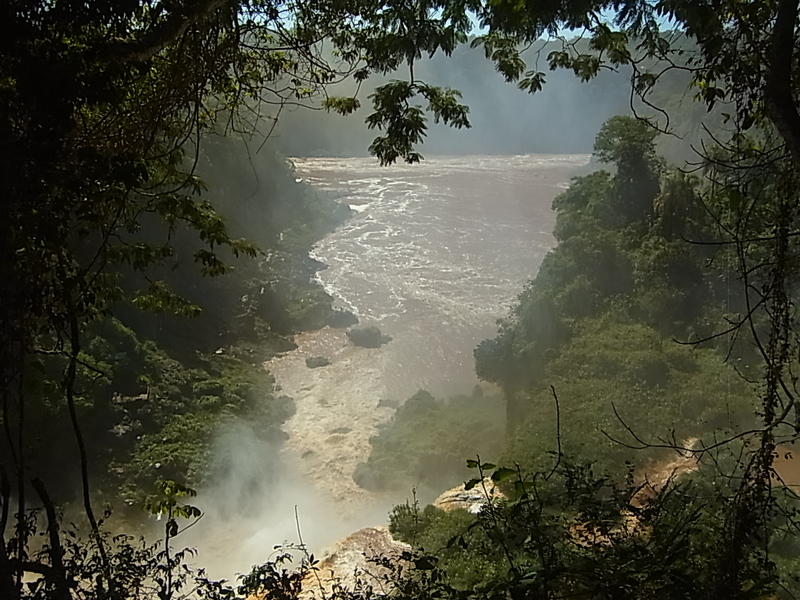 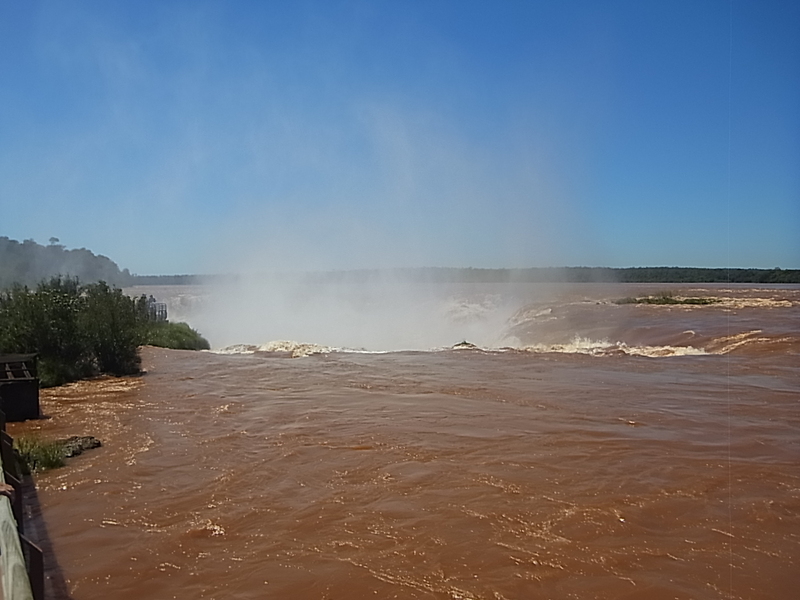 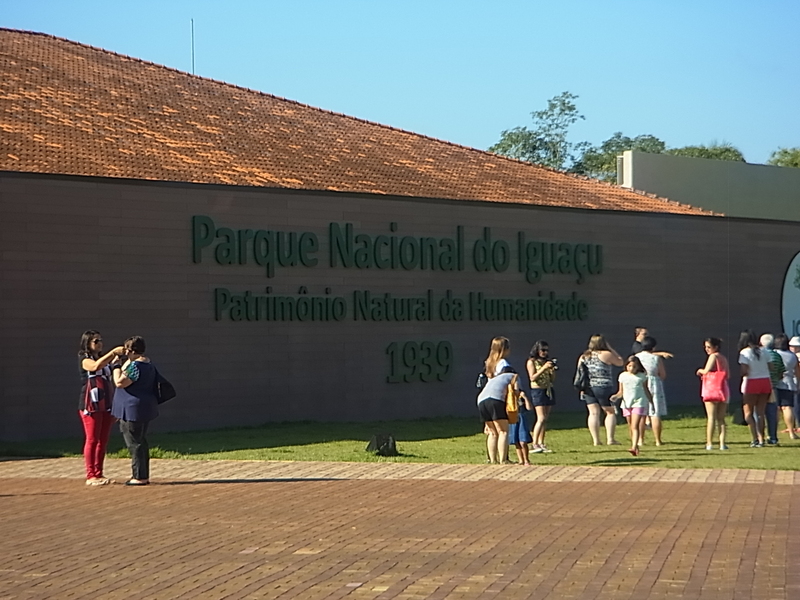 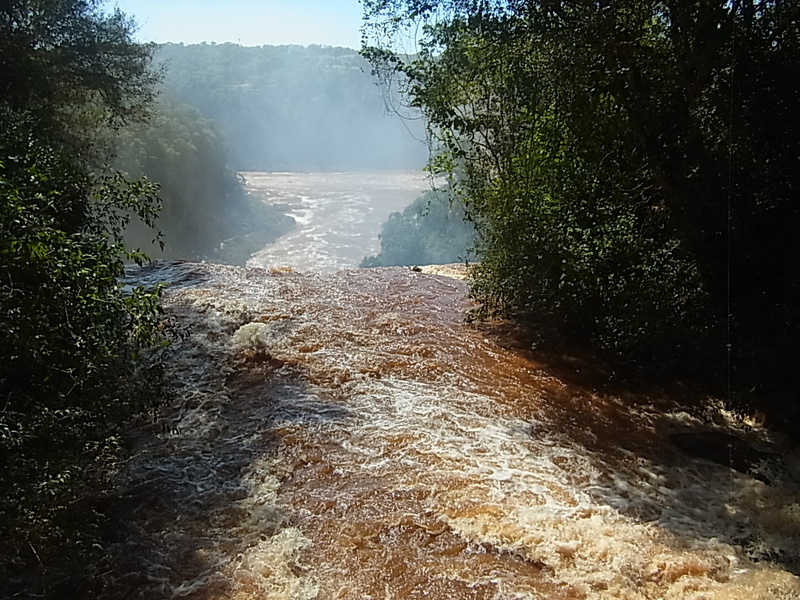 The area is the meeting point of three countries: Brasil, Argentina and Paraguay and the borders are marked by the rivers Rio Parana and Rio Iguacu. 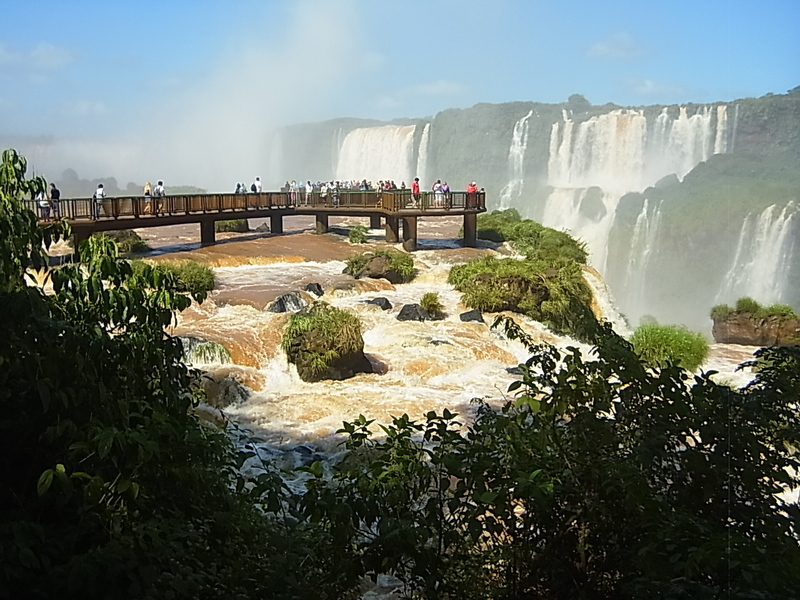 Each country has a special point where it´s possible to see all three countries at one glance, but without question, the most important thing around are the falls and once we have visited them, we know why. 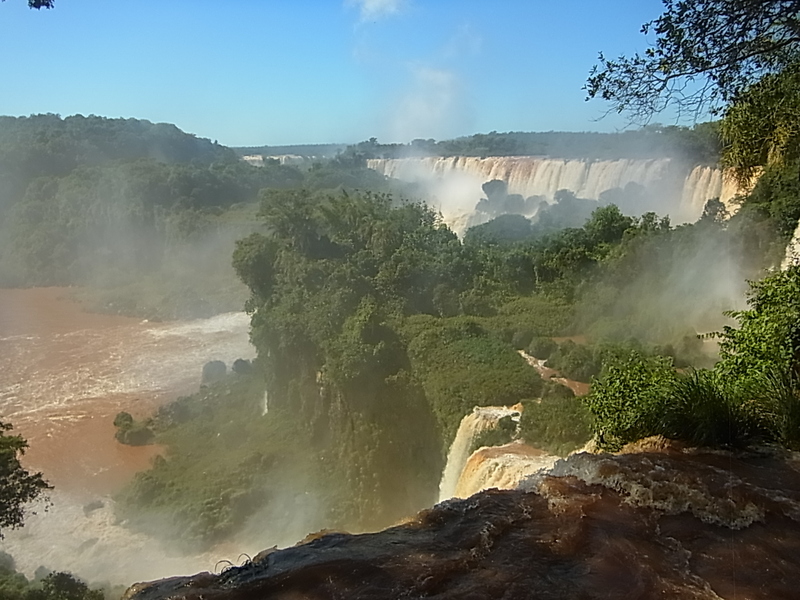 On the first day we visit the argentinian side. 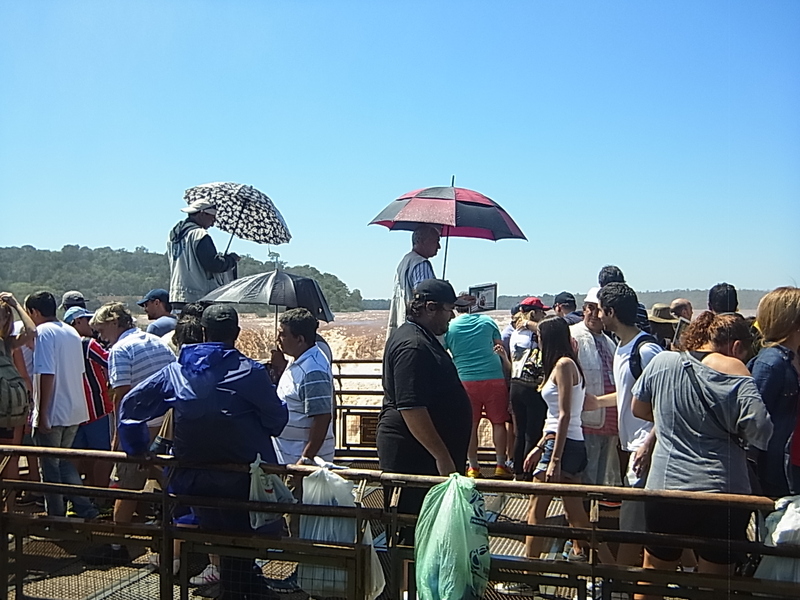 We get up at seven in the morning and take the first bus, as we hope to arrive before the big mass of tourists, and it works out. 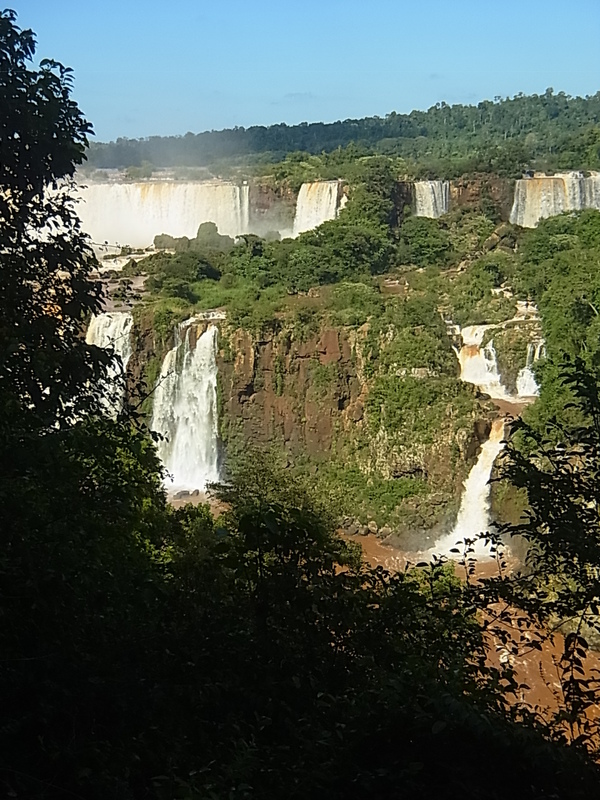 We get our tickets and for three hours we are nearly the only ones and can enjoy the beauty and silence of the nature around us. 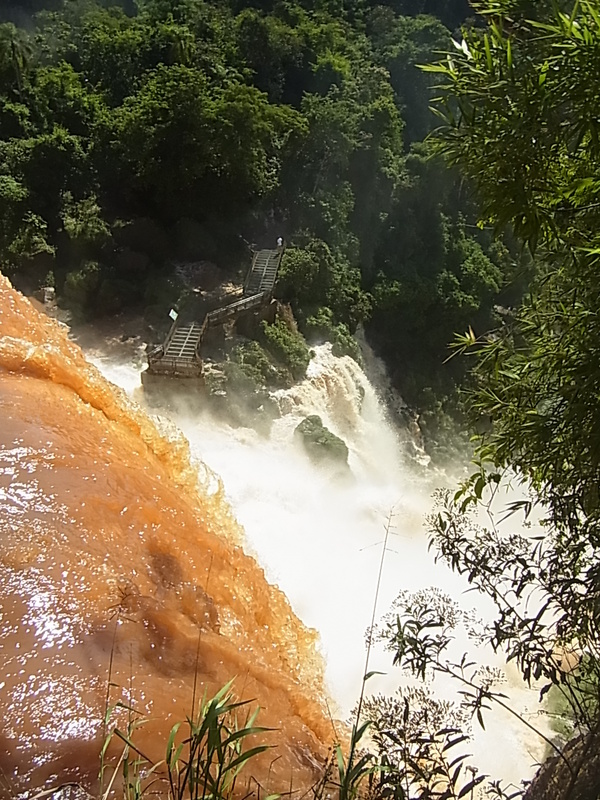 Prachtig die watervallen en ook die beestjes, zelfs al eten ze jullie eten op. 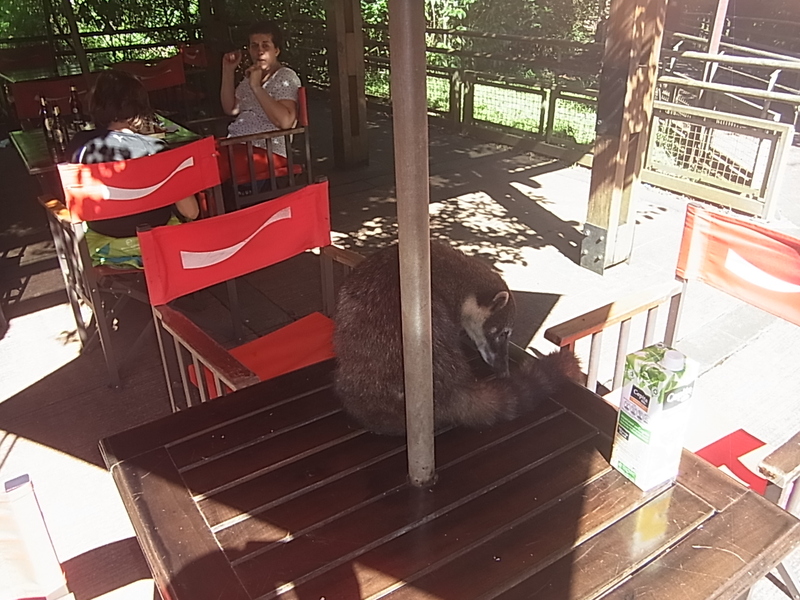 Geniet maar van de mooie natuur en van elkaar. 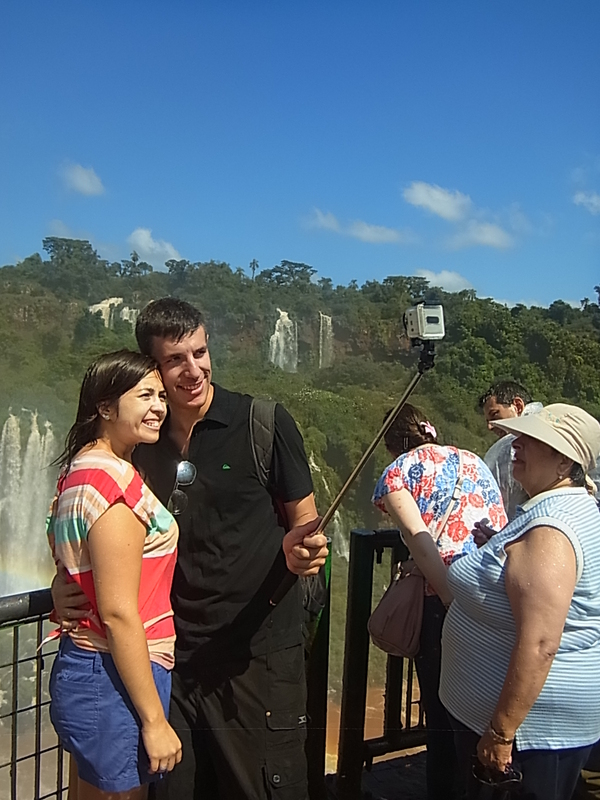 Groetjes van Annie en Willem. 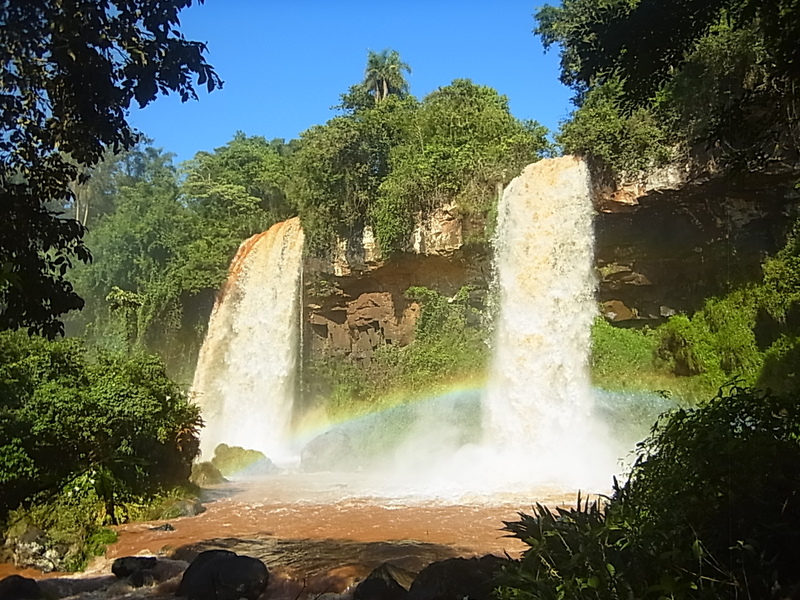 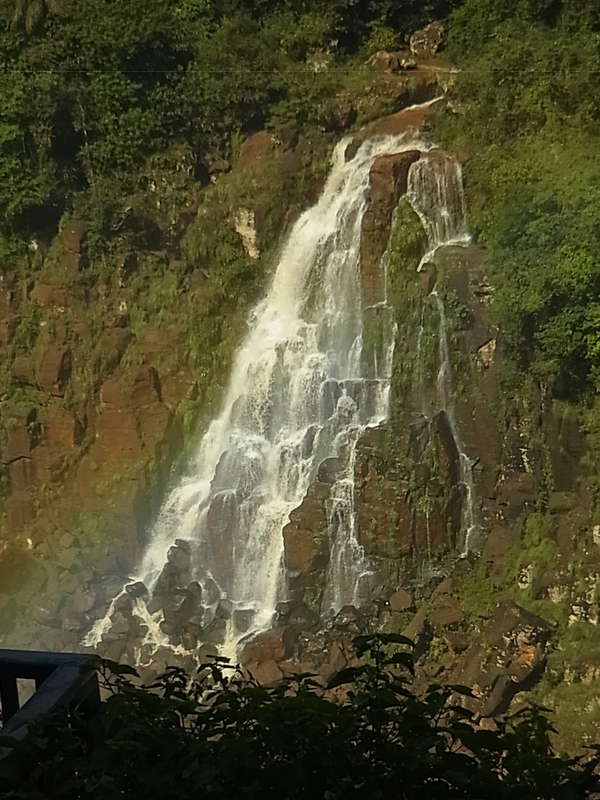 Love the pictures, the waterfalls seem to be divine. 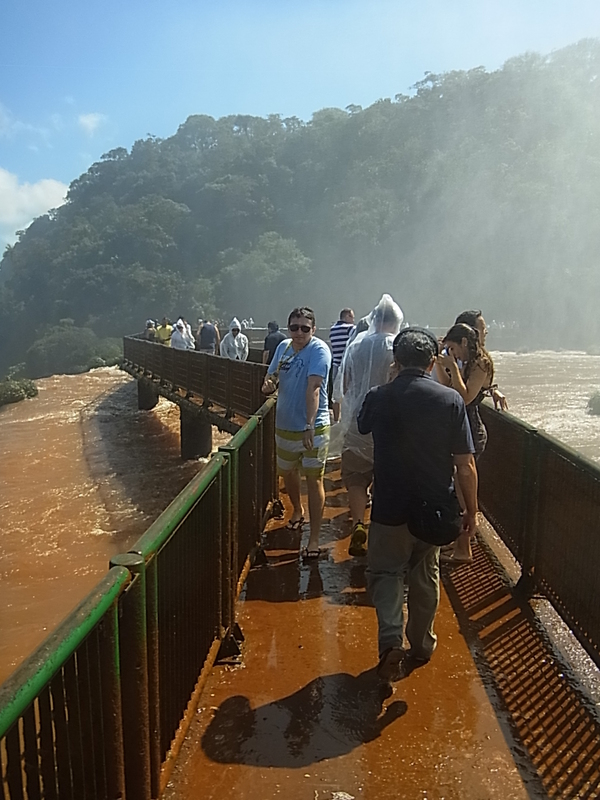 Wondering though that the water is reddish… are you allowed to swim there? 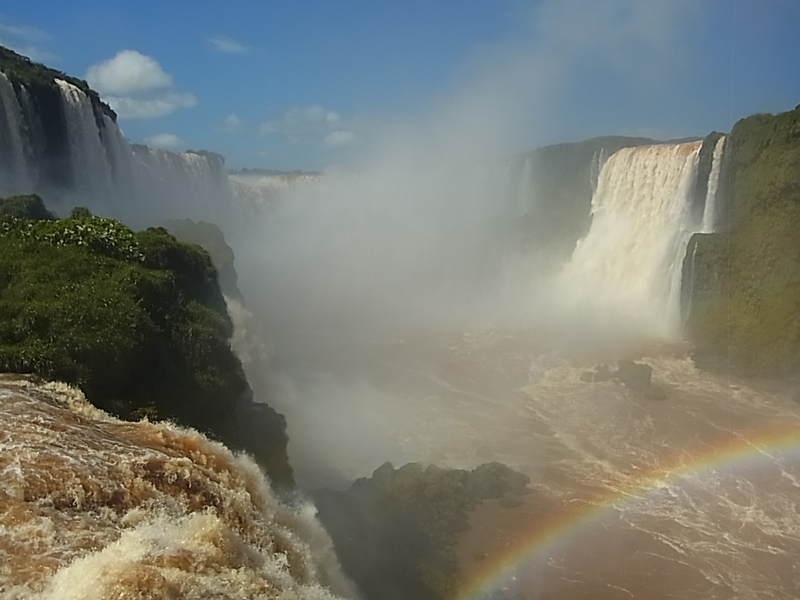 Hope I am going to see them with my own eyes one day!